Combines the joint-supporting benefits of scientifically researched Glucosamine sulfate, Chondroitin and sustainably sourced Omega 3 Fish Oil. 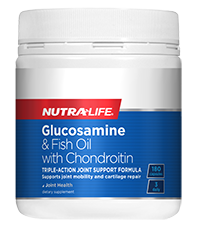 Glucosamine and Chondroitin are natural building blocks of healthy joint cartilage. Omega 3 Fish Oil provides EPA and DHA: two essential fatty acids that our bodies use to form natural anti-inflammatory compounds. These compounds may help to maintain joint lubrication and mobility. Omega 3 oil may also support healthy circulation. 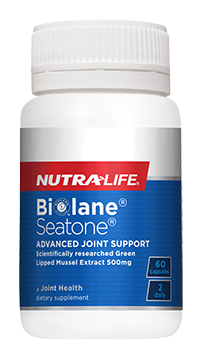 Biolane® Seatone® 500 contains maximum-strength Biolane®: a high-potency pure NZ Green Lipped Mussel Extract to support joint health and mobility. 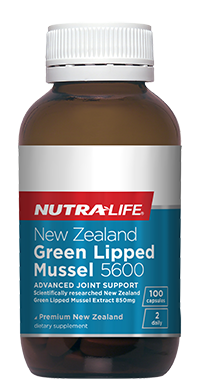 This product is made from New Zealand mussels grown and harvested sustainably and processed using a unique cold-extraction Biolane™ technique that retains the natural joint supporting compounds. 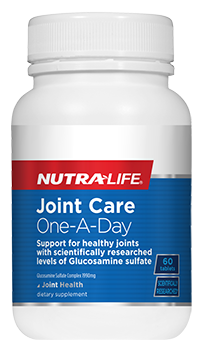 This high-potency, one-a-day formula delivers a powerful, scientifically researched dose of Glucosamine sulfate to help maintain healthy joints. 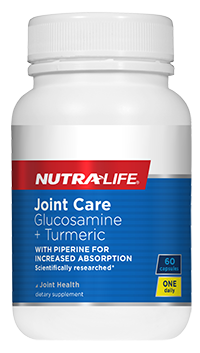 Glucosamine is a natural building block of healthy joint cartilage, and supports the body’s natural process of cartilage repair. 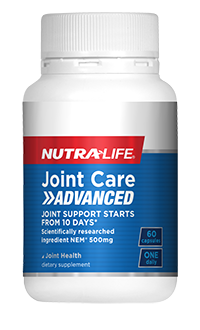 Nutra-Life Joint Care Advanced is a new generation joint support formula containing the scientifically researched ingredient, NEM®brand eggshell membrane. Studies have shown that NEM® may help support joint comfort and flexibility starting from 10 days*. 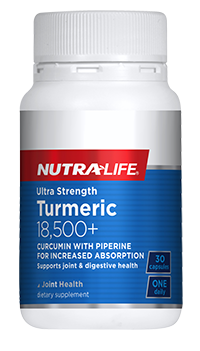 Ultra Strength Turmeric 18,500+ combines high strength Turmeric with Black pepper, to support healthy joints and intestinal health plus general wellbeing in a single daily dose. Combines Turmeric with Black pepper, to support healthy joints and intestinal health in a single daily dose. 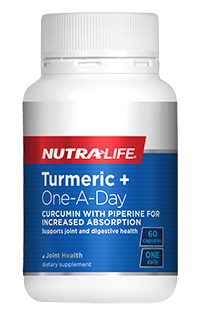 Great value Turmeric 3,000mg + One-A-Day formula, formulated with piperine (black pepper) for increased absorption.